Come to our resort in Riviera Nayarit – the 5 star Grand Palladium Vallarta. Enjoy your time and relax in the perfect environment. 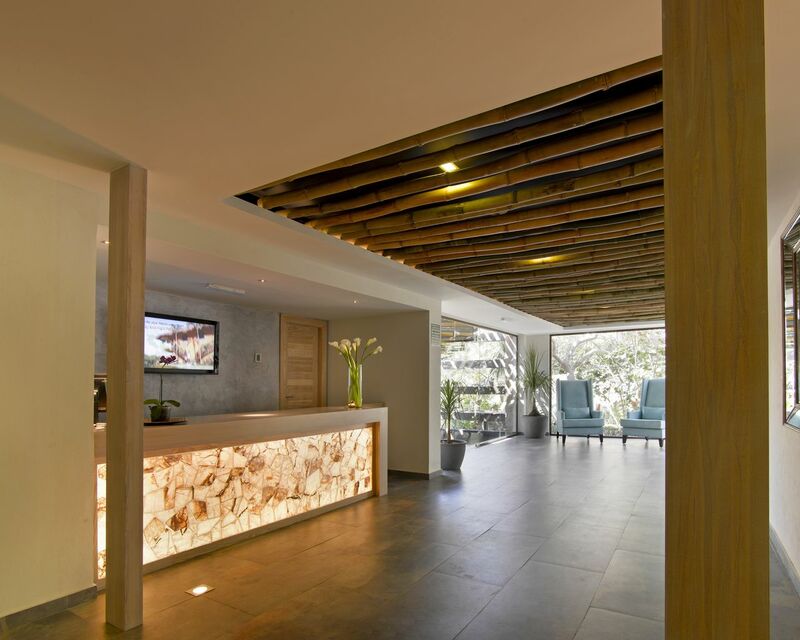 Set among tranquil mountains, where our Riviera Nayarit resort is located, you will find a comfortable hotel and spa, where clients can be pampered with massages and body and facial treatments, surrounded by an ambience of complete peace to make them feel fully renewed. This resort stands in what is undoubtedly the most tranquil spot of Riviera Nayarit, a mountain paradise amidst luxuriant tropical vegetation, to ensure that visitors relax in peace. 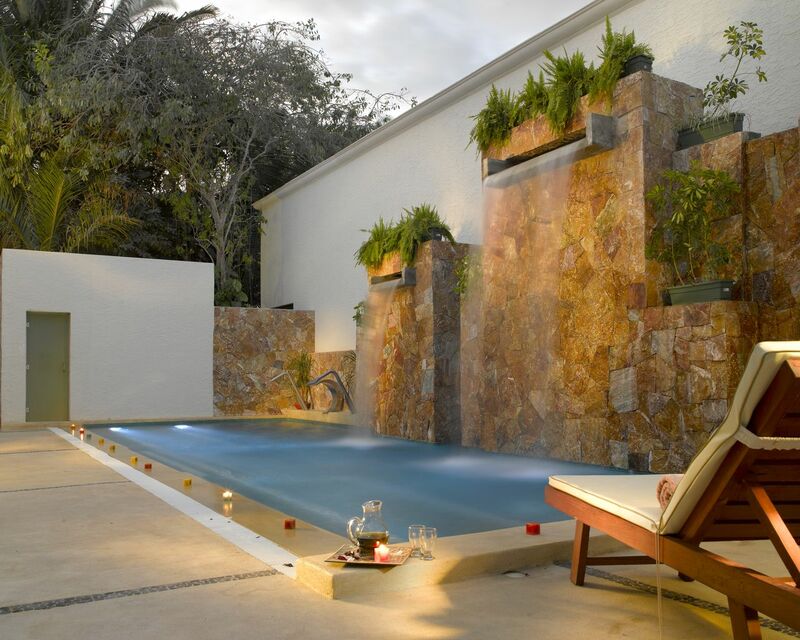 This intimate area covers 250 m2 and has a garden and outdoor pool to add to a truly wonderful experience. 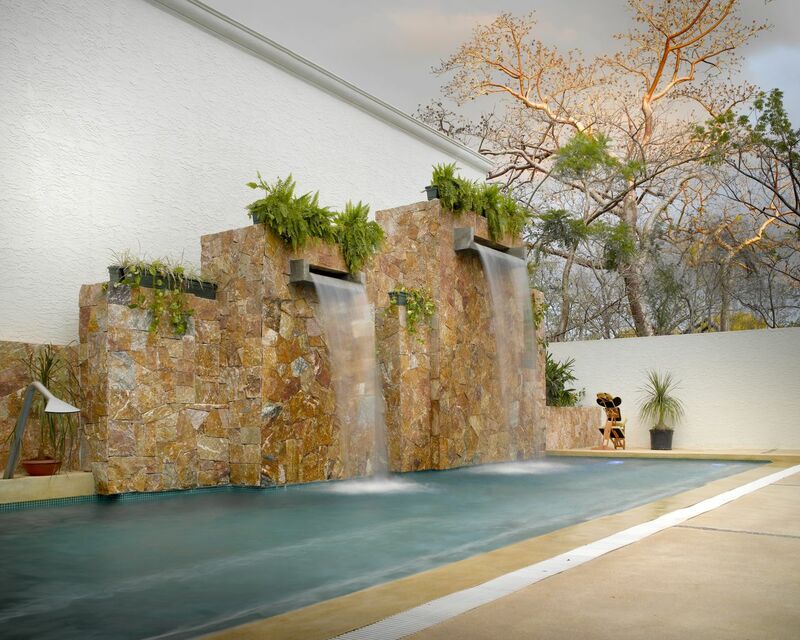 Following your treatment, you can relax by gazing at the sunset from the exclusive water cascade in the outdoor pool of Zentropía Palladium Spa & Wellness. 3 double treatment cabins for couples. 2 cabins for body treatments for couples. 1 individual cabin for facial treatments. 1 room for brides, complete with a bathtub. 1 manicure and 1 pedicure booth. Water area (male and female dry sauna, Turkish bath, 1 cold water jacuzzi and 1 hot water jacuzzi with capacity for 4 people, etc). Fitness centre with air conditioning. 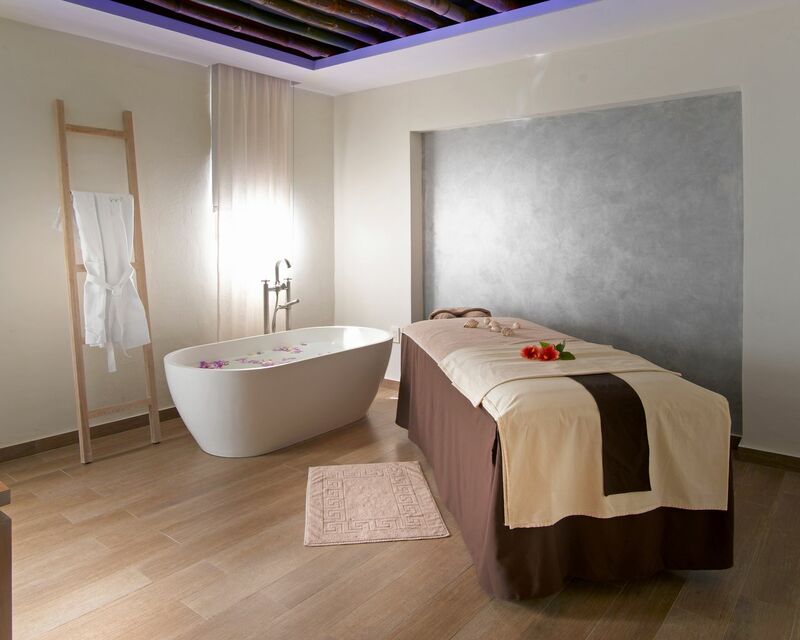 The spa offers massages, facials and body treatments given by a team of highly qualified, professional therapists. 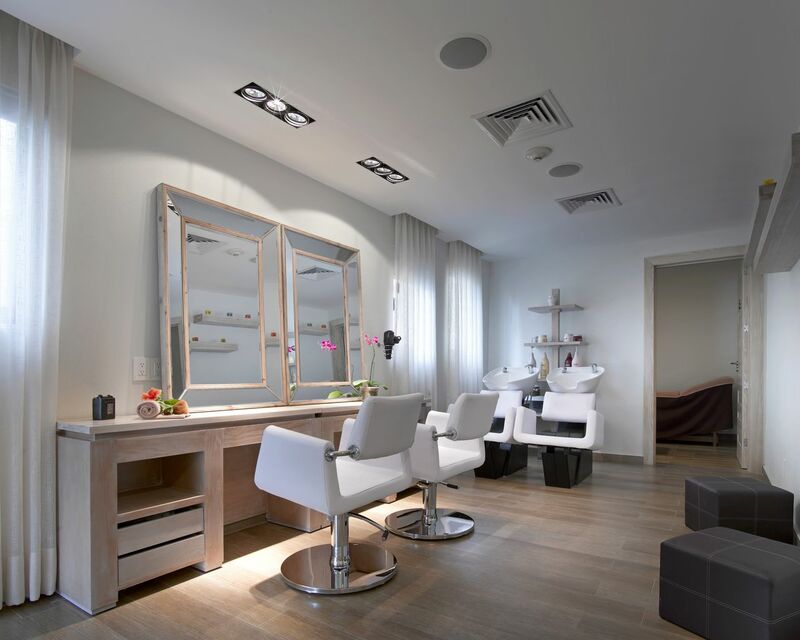 The Spa also has a modern beauty salon for cutting and styling hair, and offers the latest trends in fashion, manicures, pedicures and waxing. ** Entry to the water zones (jacuzzis, pool, sauna and steam bath) at Zentropía Palladium Spa & Wellness costs $30 USD per person per day for guests at the Grand Palladium. Entry to the water zones is included for guests at The Royal Suites by Palladium and members of the Palladium Travel Club. There will also be promotions and special services. For your information, anyone receiving one a treatment at Zentropia Palladium Spa & Wellness has entry to the water zone included for the day. Situated in the upper part of the Spa, it contains modern exercise apparatus, air conditioning and has relaxing views of the outside area. The equipment includes treadmills, elliptical trainers, static bikes and weights. 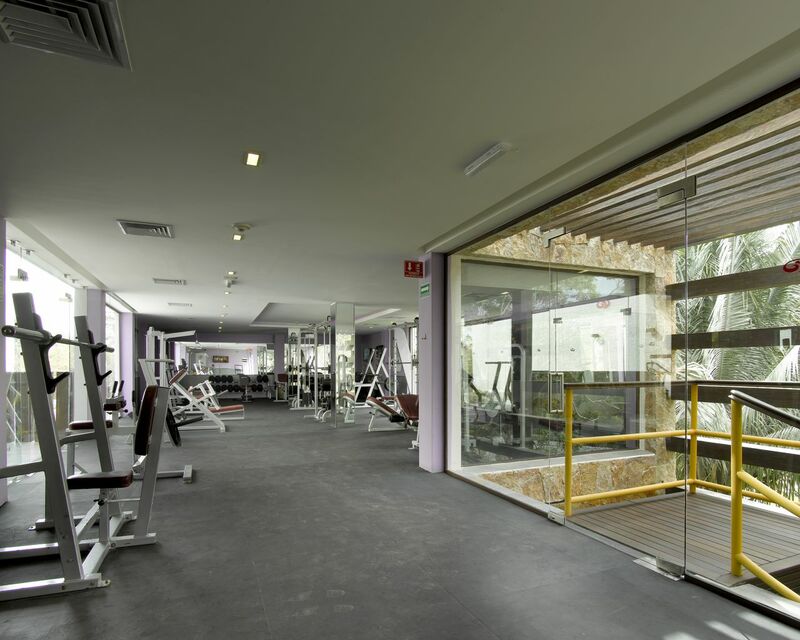 The gym has changing rooms and lockers in the bathroom area, air conditioning, background music and plasma TV screens. No reservation is required and it is free of charge. 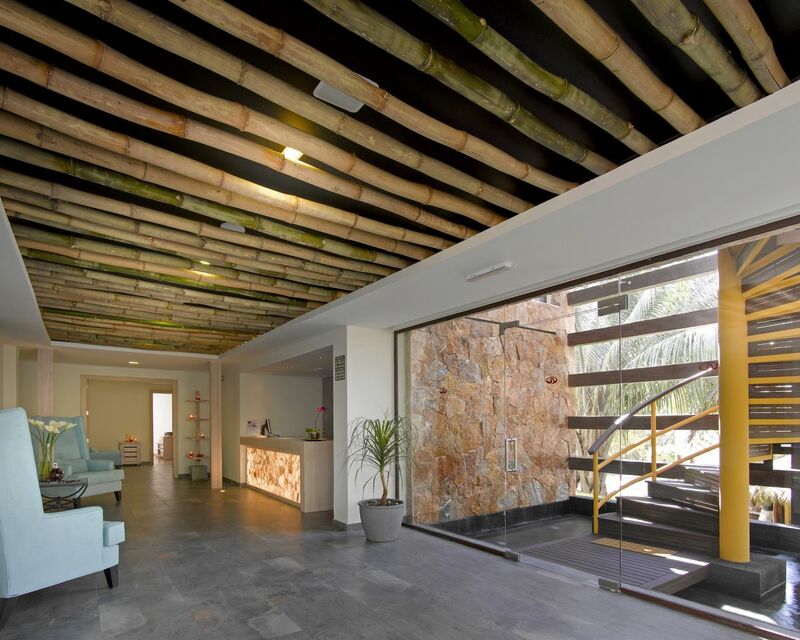 Zentropía pampers you with natural aromatherapy oils from seeds and essences and products based on local ingredients from the region to give you the full tropical experience. Please give at least 4 hours' notice if you wish to cancel. Late arrivals may only enjoy treatment up to the finishing time of the reservation, so that the next session can begin immediately. For a no-show, your room will be charged with 50% of the cost of the service. All treatments can be charged to your room for greater convenience, or you can choose to pay by credit card or in cash. Tips may be given at your discretion for outstanding service. Clients can reserve services prior to arrival at the resort with a 15% discount on the total purchase price. 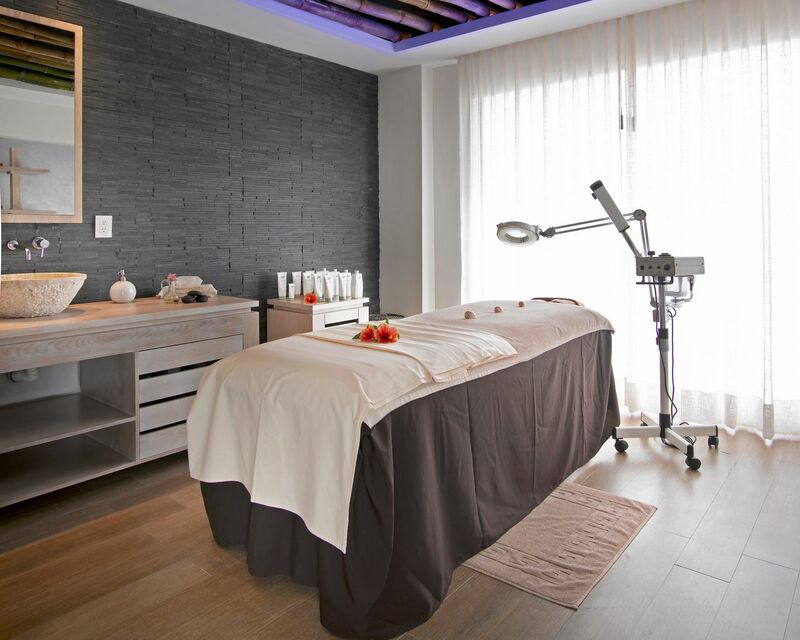 Reservations are paid 50% in advance, and the remaining 50% paid directly to the Spa. The Spa's trained staff are always available to advise you on the best treatment for your needs. Your safety is of the utmost importance to us. Please notify the Spa manager of any special medical condition, such as: allergies, high blood pressure, diabetes, pregnancy, etc. You should also be well hydrated prior to treatment. We recommend that you arrive at least one hour prior to treatment so that you can relax in the water zone (sauna, steam bath, jacuzzi and pool). You must shower before entering the water zone. The Spa will provide you with a towel and sandals for your convenience and personal use. You may wear casual clothes and don't forget to bring your swimwear. Please do not bring valuables or jewellery. Mobile phones and devices must be switched off so that all guests can fully enjoy their Spa experience.